A solid option for established enterprises. You have a lot invested in your enterprise: real estate, resources, staff. To maintain the highest level of service and professionalism and to do the best job for your customers, doesn't it make sense to support your people with regular, healthy infusions of ideas and information? Educated staff work smarter, stay more engaged in their tasks and add value to your company. With the resources of ICAA so readily available, there's no excuse for being uninformed. 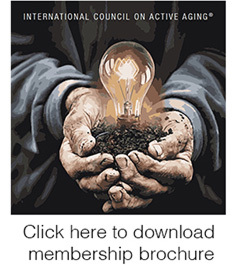 The many studies, articles and toolkits in ICAA's libraries alone can inform and inspire your staff to find better ways to work, while our two periodicals (The Journal on Active Aging® and ICAA Product and Service Guide) and frequently added webinars, news releases and research results will ensure you and your staff are on top of the latest news and trends. 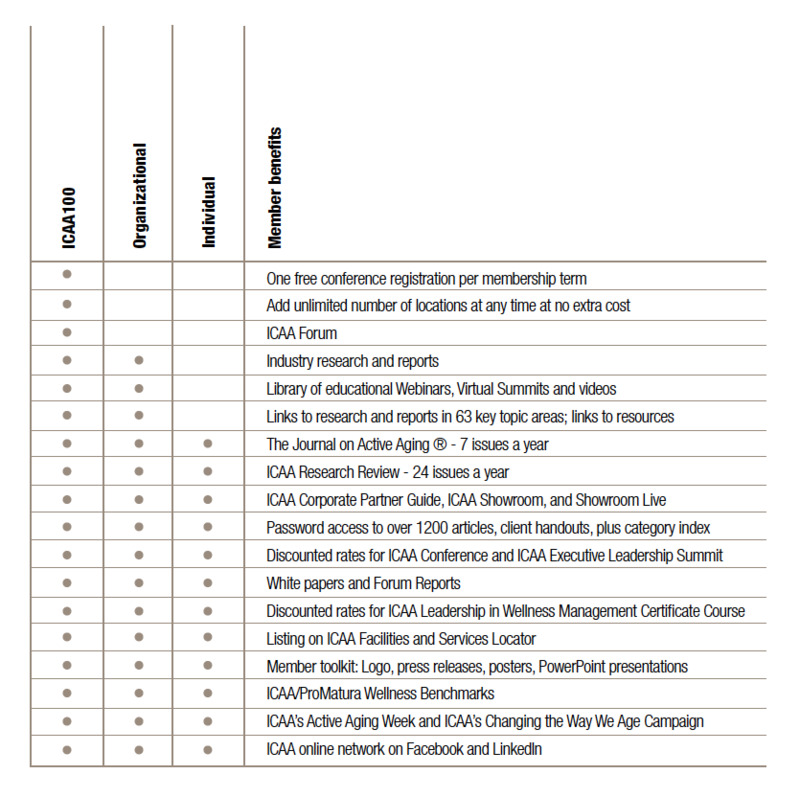 For operators with up to 14 installations, the ICAA Organizational Membership is an excellent membership option. Just $669 per location enrolls up to five personnel, and with five or more locations, the cost drops to $415 per site. Add up the numbers and you'll agree. Staying informed and engaged through ICAA is one of the best staff investments you can make. Who it's for:	Operators with 1-14 locations. The cost: $669 per location; $415 per site for five or more locations.